This invaluable resource introduces the eleven types of organism that cause plant disease, ranging from higher plants to viroids and describes examples of cash and staple crop diseases that have caused human catastrophes. 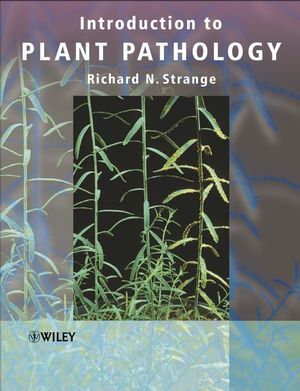 Early chapters cover serological and molecular techniques for the diagnosis of plant pathogens, epidemiology, methods for estimating disease severity and its effect on crop yields and techniques for limiting inoculum. Later chapters are concerned with colonisation of the plant and symptom development and the underlying biochemical and genetic factors that control these events. Finally, the control of plant disease using a variety of techniques including genetic modification is discussed. RICHARD STRANGE is Senior Lecturer in Plant Pathology at University College London and has a special interest in the plant disease problems of developing countries. He has written an earlier book Plant Disease Control: Towards Environmentally Acceptable Methods. 8. Killing the Host?the Role of Toxins. 9. The Plant Fights Back?1. Constitutive Defence Mechanisms. 11. The Plant Fights Back?2. Active Defence Mechanisms. Encompasses a wide range of topics, from field studies to information on how to maintain and improve the health of crops.